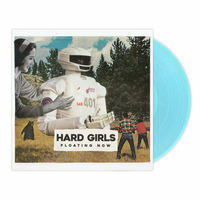 New album from San Jose, Califonia's Hard Girls. Constantly interesting, diverse punk with poetic lyricism exploring themes of mortality, doubt, and the struggle to confront these fears. Brilliantly produced by Jack Shirley (Deafheaven, Joyce Manor).